The Pegassi Reaper is a super car that was released with the Grand Theft Auto 5 Finance & Felony DLC update. At the time of writing this article and at the time of this recent release, this car is approximately the 7th fastest / best to race with super car in GTA V. In races this car is very quick and is probably the most similar to the Entity or Turismo R. There isn;t a ton of upgrade options on this car, but there are a few for those wanting to purchase a modify for racing. 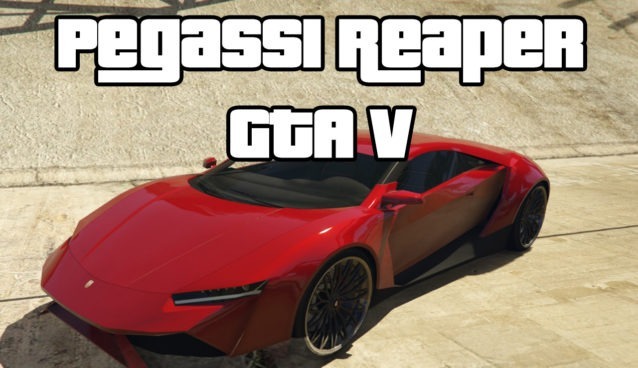 Below you can view a video of each the Pegassi Reaper being used in a GTA V online race.